The Atacama Salt Desert, located between the first and second region of Chile, is where SQM's nine productive plants are located. SQM has exclusive access to these unmatched natural reserves: the biggest natural iodine and nitrate natural reserve in the world and highest lithium and potassium concentrations currently recorded. A Tesla Model S P100D, with the high-performance upgrade, can accelerate from 0-60 mph in a blistering 2.5 seconds. In the December 2017 Consumer Report’s Annual Owner Satisfaction Survey, the Model S claimed vehicle satisfaction honours for the third straight year. In the same year, the vehicle reportedly outsold all large luxury sedan brands in the United States. With impressive passenger safety ratings and an estimated 90% cost savings compared to oil burning equivalents — it seems Tesla, and indeed electric vehicles (EV), are now ahead of the curve. Surely, with EVs beginning to claim technology leadership we are about to witness a landslide in EV uptake. Yet, when we peel back the covers a little, EV adoption is still somewhat underwhelming. Despite a headline-grabbing one million global sales in 2017, only 0.6% of 17 million light vehicles sales in the United States were electric, and a paltry 0.28% of 290 million light vehicles in use are EVs. When you consider that interest in EVs was revived as early as 1996, with the lead-acid battery powered General Motors EV1, have we really made noteworthy progress? So, what’s the holdup? Charging infrastructure for one. Lack of range or ‘range anxiety’ of consumers is regularly touted as another. Price. Electric vehicles are considerably more expensive than an internal combustion engine (ICE) powered vehicle, largely driven by high battery costs. When the purchase price of a new automobile is pitted against environmental survival — money still talks, it seems. However, cheaper batteries could change everything. And they are well on their way. Battery pack prices fell roughly 80% from 2010 to 2016, from ~ USD 1,000/kWh to ~ USD227/kWh, according to a January 2017 McKinsey Report entitled Electrifying insights: How automakers can drive electrified vehicle sales and profitability. Bloomberg, a major global provider of financial news and information, predicts electric cars may be cheaper than the ICE by 2025, so long as the cost of lithium-ion batteries continues to decline. The abundant element at the centre of this revolution is lithium. Lithium is the lightest metal, highly reactive, and contains strong electrical and heat conductivity properties. Energy storage accounts for almost 60% of lithium usage, with lubricating grease also a major application (8%). Lithium-ion battery technology is central to developments in portable electronics — such as mobile phones, smart watches, laptops and tablets. However, the application gaining the most traction is electric mobility. This important chemical element is mainly extracted from lithium-containing brines, sourced from below the surface of dried salt lakebeds or “salares.” The remainder is obtained from more traditional mines, from minerals such as spodumene, petalite and lepidolite. Andres Fontannaz, sales director, NAFTA region, for SQM, a global mining company that engages in the production and commercialisation of unique chemicals such as potassium nitrate, iodine and lithium, says over the last 10 years that demand for total lithium chemicals has more than doubled. Will there be sufficient lithium production capacity to supply this amplified demand? And what impact, if any, will this momentous change have on lithium supply to other industries, such as lubricating greases? The SQM representative, who joined the Chilean-based mining company in 2004, highlighted current world reserves of 80 million MT LCE — enough to cover 300+ years at the current rate of consumption. Chile boasts the largest lithium reserves (48%), followed by China (21%) and Australia (17%). Total world resources are estimated at up to 280 million MT, though Fontannaz emphasises that this includes resources that may not be technically or economically feasible to exploit. While this sounds like ample supply to cover this almost exponential growth, Fontannaz admits the industry has been exposed in the past. Historically, demand has been underestimated and supply has been overestimated. With a “lot of moving parts” we need to be careful, he asserts. The industry also has a poor track record in startup projects with delays, lower production rates than announced, budget over runs, and bankruptcies all too familiar. Six new brine and 12 mineral projects are under development, and more players are expected to enter this burgeoning sector. Fontannaz, an economist from the University of Chile with an MBA from Emory University’s Goizueta Business School, believes it will be difficult for newcomers. It is a “very capital intensive industry,” he says. With demand growing by 600 KMT-800 KMT LCE over the next 10 years, investments of USD 10-12 billion will be required. 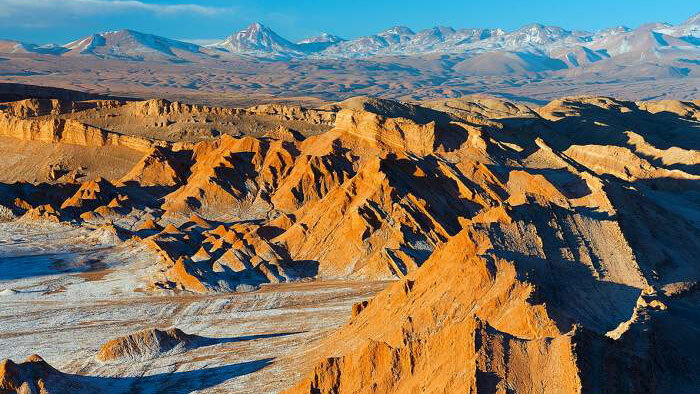 SQM is certainly putting their ‘money where their mouth is,’ commencing an aggressive three-fold expansion including a USD 525 million investment in Chile to triple the company’s existing capacity. Lithium carbonate capacity will increase from 48 KMT/year to 180 KMT/year by the end of 2021, and lithium hydroxide capacity will grow from the current 6 KMT/year to 13.5 KMT/year by year-end. Fontannaz also outlined geographic diversification plans including new greenfield projects in Argentina and Australia — a combined investment of more than USD 500 million. Astonishing growth in lithium demand, and expanding global capacity, seems to point to lithium as the technology that will fuel an expected acceleration in EVs over the next few decades. Although, not everyone is convinced. Ed Becker, a past president of the Society of Tribologists and Lubrication Engineers (STLE), who holds a PhD in Mechanical Engineering from the University of Michigan, says “I don’t think batteries are going to be the solution,” citing cost, range and extended charging times. Also speaking at NLGI’s Annual Meeting, Becker believes “we need a source of electricity that is more efficient and also more portable.” The best choice is fuel cells, he suggests. The powertrain expert, who retired from General Motors several years ago, admits high-pressure hydrogen gas storage tanks in existing fuel cell vehicles make people nervous. What we need is hydrogen on board from a source that is solid or liquid, he says. U.S. Army researchers recently developed a structurally-stable, aluminium-based nano galvanic alloy powder that, when combined with water, reacts to produce on-demand hydrogen for power generation without a catalyst. “I think this could be the breakthrough,” making fuel cells possible, Becker thinks. While some industry participants may have reservations about the future of lithium-powered batteries, SQM is banking on considerable growth of BEV + PHEV vehicles continuing to drive lithium demand in the foreseeable future. However, for this scenario to play out, battery prices must continue to decline, even as demand for the metals that go into the units increases. A June 2018 McKinsey report has raised concerns around long-term raw-material supply and the impact of rising commodity prices on battery production costs. Recent price spikes in lithium, and cobalt, another critical metal for lithium-ion cells, are troubling. While McKinsey forecasts sufficient capacity to meet the growth in demand for lithium to 2025, the scarcity of cobalt is of greater concern. Cobalt supply is predominantly a by-product of nickel or copper, with less than 10% occurring as a primary product. Further, 65% of global production originates from the Democratic Republic of the Congo (DRC), a high-risk region with a lack of transparency. While additional cobalt sources are likely, should demand continue to increase, exploration, licensing and development is time consuming and costly.